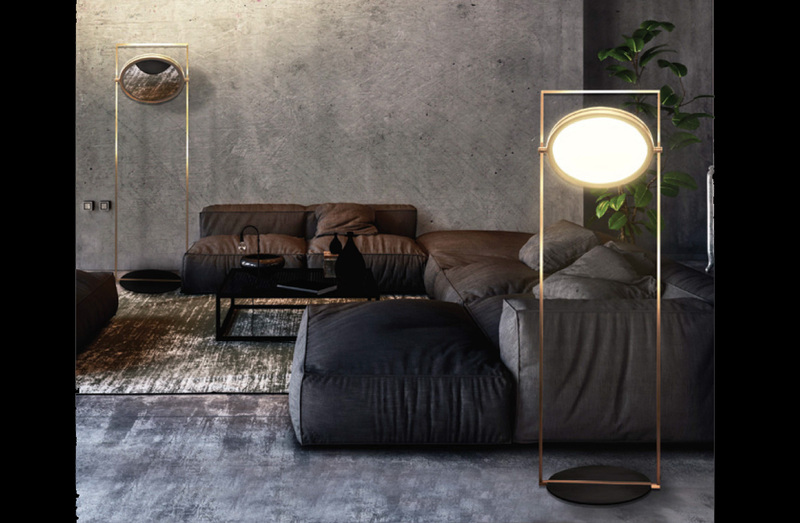 Floor lamp with structure in polished black nickel, or polished light satin bronze finish. Adjustable angle diffuser in white satin finish. LED lamping.